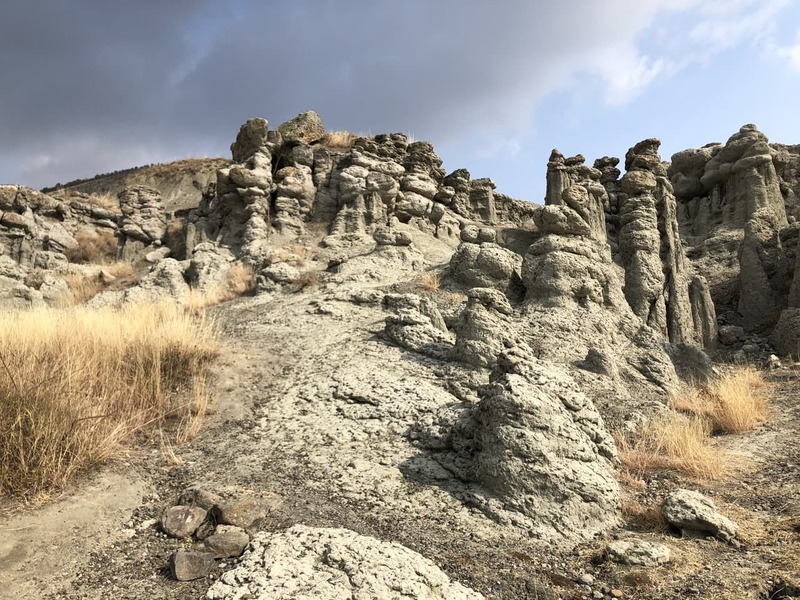 Kuklici, or popularly known as the Stone Dolls, is an old stone town in North Macedonia formed of 120 small and 15 large stones naturally shaped into earth pillar forms. 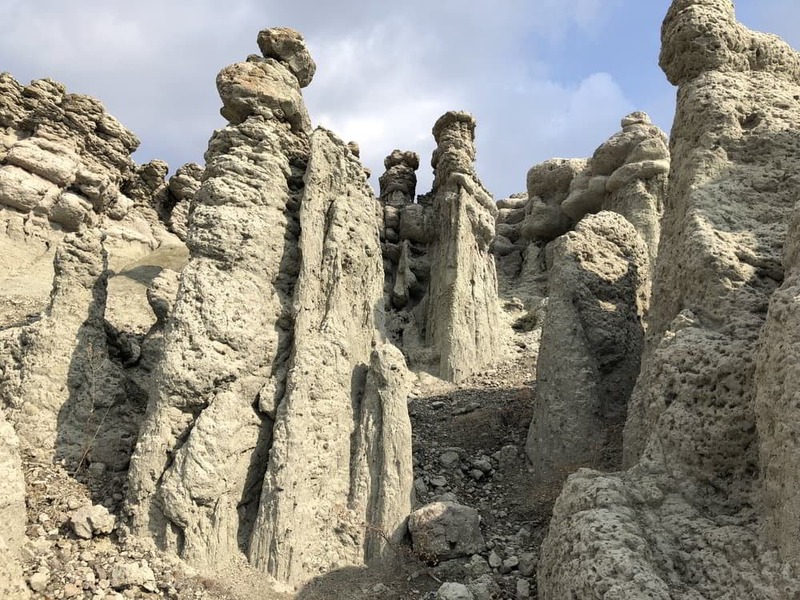 Fascination with Kuklici, making it a very popular tourist attraction, lays with the earth pillars resembling human shapes – or dolls. Scientifically speaking, the earth pillar stones have received this form over a period of ages due to erosion of the volcanic rocks and mountains and climate changes around the Kuklica location. Kuklici – the “Stone Dolls” of Kuklica, North Macedonia. But most people don’t really bother with the scientific facts. People visit Kuklici for its tragic tale, which has been handed down by the locals throughout their generations in the village Kuklica. The tragic folktale of Kuklica involves a happy and cheerful wedding where the wedding guests all turned into stone – hence, stone dolls. The girl in love with the boy was from a nearby village called Gorno Maalo (Upper Neighborhood). The boy fell in love with a girl from the village Dolno Maalo (Lower Neighborhood) and wanted to marry her. From all the pain of a broken heart, the girl in despair put a curse on the young love birds. When the day of the wedding came around, everyone was happy and ready to celebrate a beautiful ceremony. All the wedding guests gathered around the bridge and groom at the altar, as the wedding ceremony started. As the bride and groom sealed their marriage with a kiss, the curse took over – turning everyone into stone! Today, when one visits Kuklici the first sight is of the stone dolls of the Groom and Bride standing in front of the altar. Locals from the villages continue the folktale stating their ancestors tried to end the curse, but to no veil. Today, they call Kuklici the “Happy Wedding” because the fathers-in-law remained smiling as they turned in to stone. The tale ends here, with no knowledge of what happened to the unhappy, brokenhearted girl. Some say that ever five or so years the curse repeats and a new stone doll shows up in Kuklica. Will the curse ever be lift or will newlywed lovebirds continue to suffer the pain of the heartbroken girl? Erosion on the earth and the stone pillars. Rest of the wedding guests in Kuklica at the Happy Wedding. How to Get to Kuklici the Stone Dolls? The only way to get to Kuklica or the Stone Dolls is by car. The reason I say this, even though there are bus stops on the road between Skopje and Kriva Palanka/Kratovo, there is no bus to take you from the main road to Kuklici. And, walking is not an option. If you have a car or will be renting it, visiting Kuklici is a great idea for a day trip from Skopje. The drive is no more than an hour and a half in each direction. Once you get to the main road leading you to Kriva Palanka, there are clear signs pointing you to Kuklici – you won’t even need navigation. Hiking trails and stone dolls around the area. There is no entrance fee for Kuklica the Stone Dolls. There is a cool wooden door at the entrance, but there is no guard keeper or a ticket to purchase for entrance to Kuklici. 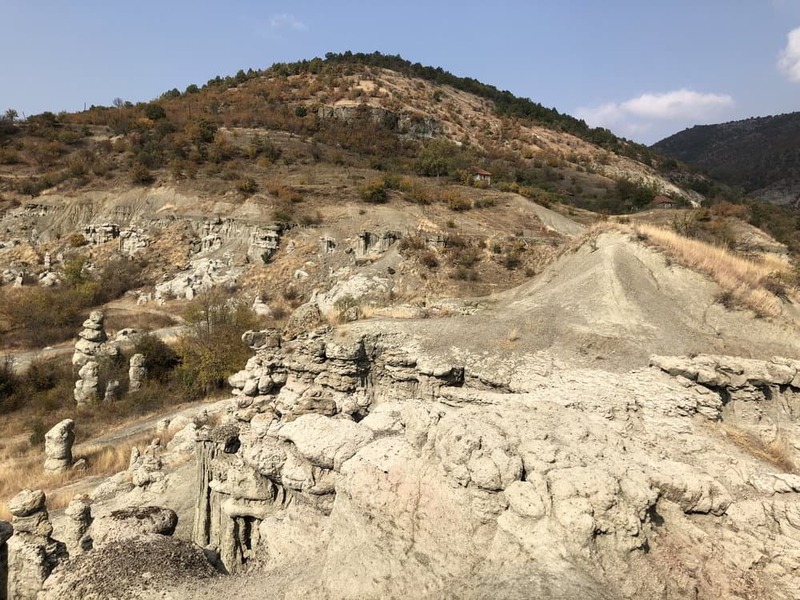 There was an ongoing project sponsored by the Bulgarians to protect the earth pillars and an attempt to improve the trails around the location, but it looks like it’s been abandoned. Few wooden cabins remain around the area with broken windows, and there are some picnic tables as you enter the Kuklica complex. Your first view in Kuklica will be of the “Bride and Groom” stone dolls. At each stone doll, there are engravings on wooden sticks next to them to show which stone dolls are the in-laws, best man, maid of honor, and rest of the happy wedding guests. Don’t get over excited, the sight is beautiful and interesting, but it’s a wonder of science and nature – not the world. So, it might not hold the interest of many for long. 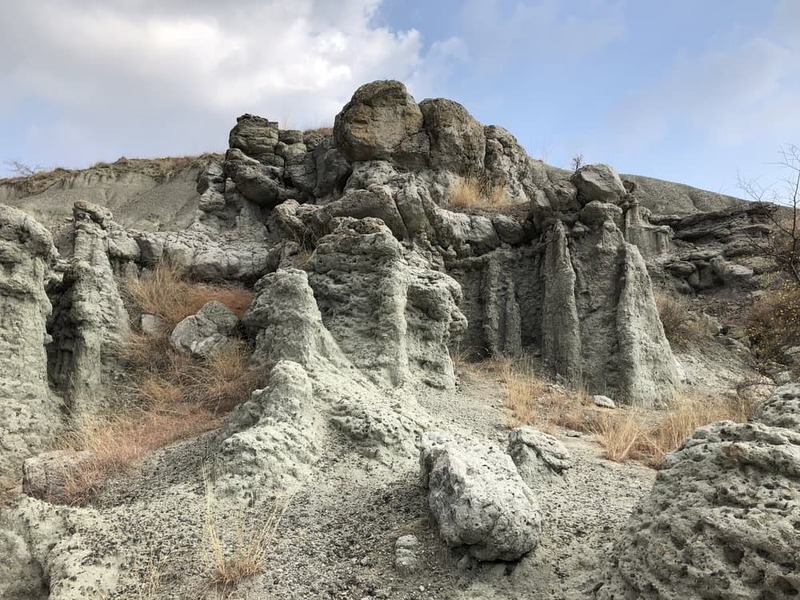 However, there are many hiking trails around Kuklici and small bridges to cross over as you explore the stone pillars, earth pyramids, and natural beauty around Kuklica. Kuklici is not a place to spend all day. If you are coming from Skopje, I would recommend continuing to Kratovo to make a full day outing. There are no restaurants, shops, bathrooms, or coffee shops around Kuklica. Therefore, don’t go back to Skopje, continue to Kratovo, which is nearby, and sit down for a “pastramajka.” Pastramajlijais a North Macedonian specialty dish made of meat placed on top of a dough and baked. Depending on the region in North Macedonia, some pastrimajlii have eggs and others do not and the pork meat varies. Pastramajlija is made with pork meat, but since chicken is a popular request most restaurants now offer a chicken version. We sat down in the “English Pub” in the center of Kratovo. They even have take out and coffee to go. If you don’t have the time, bring some sandwiches and have a picnic in Kuklici after exploring the land.